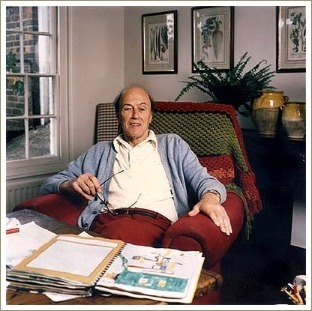 Roald Dahl was an English writer who's best known for the books, short stories and quirky rhymes he wrote for children. Some of his books have been made into films but the books are better and definitely worth introducing your children to. The wonderful language and weird story lines make them especially good for reading aloud. My three kids loved them! I find Dahl’s books and verses for children interesting because he writes in such an unusual way. the stories are told from the point of view of a child. his books and rhymes don’t present a sentimental view of childhood.In fact, the humour and storylines are often quite dark and there’s not always a happy ending.The scenarios are usually weird and/or grotesque and there’s always at least one adult villain who hates children! What Influenced Roald Dahl's Writing? Many years ago I read Dahl's autobiography,a fascinating book in two parts called 'Boy'and 'Going Solo'. In the book, Dahl tells how his mother, Sofie Dahl, would often tell the young Roald and his sisters traditional Norwegian myths and legends from her homeland as they were growing up. The stories often involved trolls, those mythical beings from Norse mythology which were unfriendly and sometimes aggressive towards humans. As he got older, Dahl was an avid reader, especially enjoying fantastic tales of heroism and triumph. He also liked ghost stories, especially a book called ‘Trolls’ by Jonas Lie. This interest in antagonistic characters who are out to harm children obviously had an influence on Roald Dahl's writing: remember poor Matilda's awful parents? Dahl’s poetry is great fun to read aloud, especially to four and five-year-olds who are already familiar with the traditional nursery rhymes and stories. Revolting Rhymes is a great book in which Dahl re-tells some of the most well-known nursery rhymes and fairy tales, replacing the traditional happily-ever-after conclusions with surprise endings. They're hilarious - well worth getting hold of! 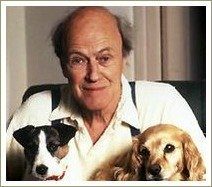 If you'd like to read a bit more about Roald Dahl and his life, click here.